I will be thinking of you whilst laying und a combine harvester, replacing the feed hoist driveshaft, which got bent just as we finished the last field last year. Posted: Thu Apr 11, 2019 20:04 Post subject: Google Ads keep this community free to join! Not as far east as Borehamwood. We have hills sheltering us from the easterly winds. At least, it's been lovely here in Cumbria for the last 3 days, once the sun has got up. Bring your big coat, and turn the heater up! Lewis - that's a bad excuse - it's a long time until harvest! 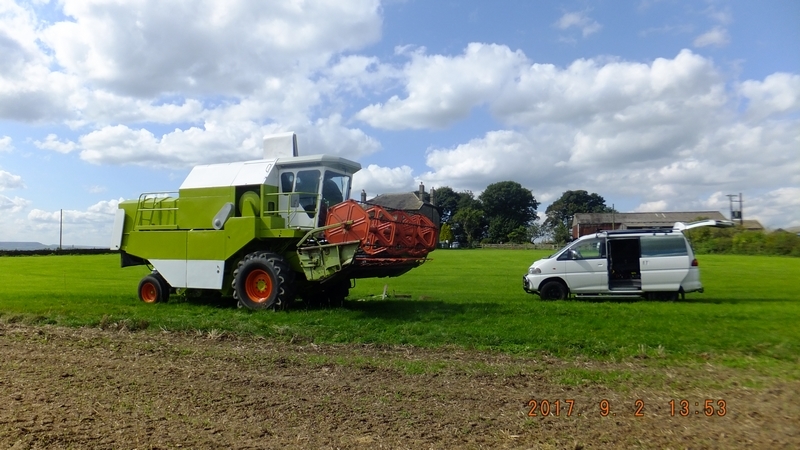 Equipment has to be serviced and ready to go when the time comes to cut the crop, not when it is time to harvest. Driving several miles, in convoy with two or more other tractors and trailers, to fields towing a cutting bed behind a Harvester takes time, as does removing it from the trailer and connecting it up. Finding you cannot empty the first hopper full of corn into one of the accompanying tractors trailers is not only annoying, but also very expensive as the field may then not be cut in time, due to being contracted to cut the fields of several farmers, several miles apart. Plus you cannot get the shaft, which has an archimedes screw attached to the full length of it, out of the bottom of a hopper full of a ton of corn, umtil you've emptied it by hand. Bear in mind that after a field is harvested a sequence of events is also set in motion, the Hey has to be baled and transported back to the farm, for use or onward sale. Then the field has to be ploughed. Following that you tillage it, etc, etc; all before it rains (hopefully). It takes quite a while to get a feed drive shaft out and to attempt to straighten them ( NB: unlike a driving wheel drive shaft they are a bit more pliable, with the services of an oxy-acetylene torch ). Though if it cannot be straightened them there are two places in the UK - one down Coventry way and another up above Scotch Corner - where Harvester graveyards exist, for mooching about in to find a replacement. Which again is time and money. Espcially as whilst mooching you come across other desirous items. Now I know where you're going wrong - cutting hey(hay) with a combined harvester! 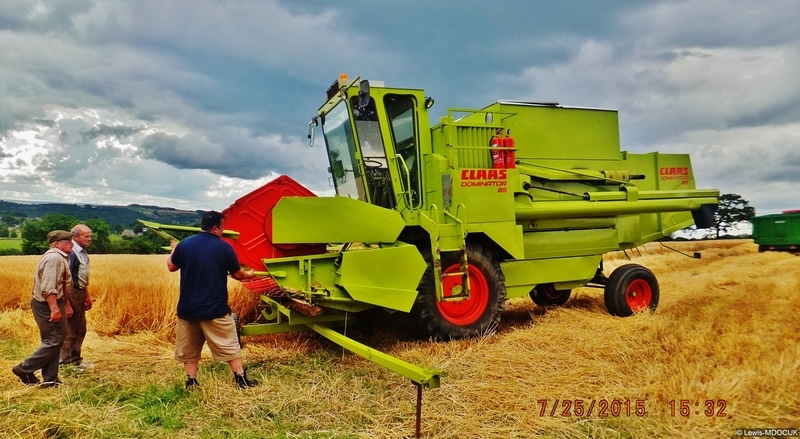 For hay, you will need it earlier in the season! And don't forget, procrastination is my middle name! See you at Coniston? Or are you looking for a more peaceful life ?! Take care, farmer across the road from me had his arm ripped off by the reel of a forage harvester - trying to clear some twine with the machine running. Alzheimer's? That's Deker's excuse. Anyway, who are you? do I know you? What are you doing on my internet?